Every product has a story behind it, including Smart Nora. Behrouz Hariri, a gentleman from Toronto, Canada, is the co-founder of Smart Nora. He has a background in product design and consulting. Mr. Hariri accredits his father with coming up with the idea in order to solve his own snoring problem. Taking his father’s idea to the next level, Hariri further developed the Smart Nora in his garage and tested it in bedrooms of friends and family. A few months later, he launched a Kickstarter campaign on October 14, 2015, in an effort to raise money for further product development. Not surprisingly, the campaign had reached 40% of its goal within the first day. A month later, on November 12th, Hariri had over 3,400 backers and raised over $800,000, making it one of the more successful Kickstarter campaigns. While several factors come into play, the success of Hariri’s Kickstarter campaign may be attributed to the fact that an estimated 40% to 50% of adults deal with snoring on a nightly basis. Providing an innovative solution to a common problem and presenting an effective pitch video is a surefire way to realize success on Kickstarter. While Smart Nora is a young company, it has already made several appearances in publications and television shows such as Reuters, NBC News, Wired, Maxim, Taxi, Business Insider, and Van Winkles among two dozen others. The Smart Nora Smart Snoring Solution is an innovative anti-snoring device that’s unlike anything that is currently on the market such as mouthpieces, chinstraps, nose strips, nose clips, throat spray, herbal remedies, etc. In fact, with Smart Nora, you don’t wear, ingest or attach anything to your body. 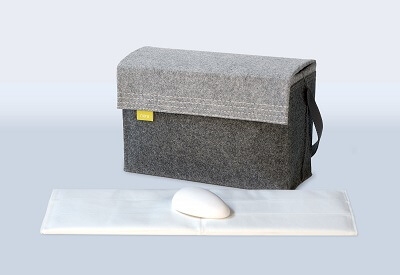 It’s an inflatable device that you slide under your pillow and it’s controlled by a small inconspicuous cordless transmitter, named a “pebble”, that rests on your nightstand and detects snoring. Once snoring is detected, the pebble transmits a signal to the inflatable device under your pillow and a silent pump is activated. 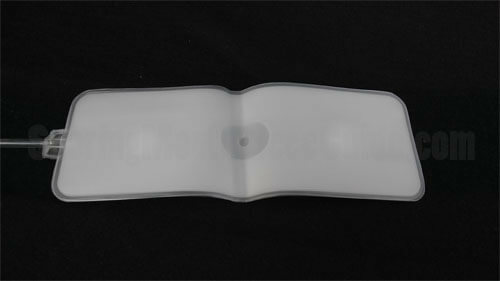 This pump inflates or deflates the air pouch inside of the pillow which slowly raises or lowers your head up to 2″ over the course of 30 seconds. Smart Nora continuously listens and makes adjustments by raising or lowering your head until snoring is no longer heard. 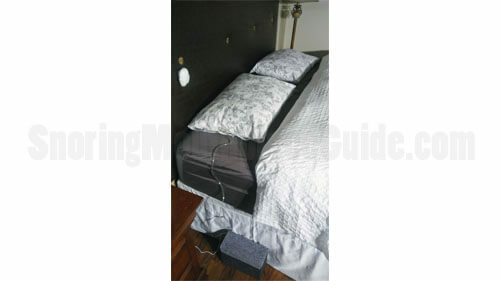 This adjustment process is ongoing throughout the night which keeps your snoring under control. The movement of your head is very gradual, allowing you to sleep undisturbed. But How Does it Stop Snoring? This device sounds very interesting but how does raising or lowering the head control snoring? In order to understand how the Smart Nora works, it’s important to first have an understanding of exactly why we snore. While there are numerous causes of snoring, the most common cause is a partial collapse of the airway. As we sleep, our body and muscles relax which cause the airway to become narrow. As air rushes past a narrow opening, loose fatty tissues begin to collide with each other, causing the sound of snoring. While this is the most common cause of snoring, there are other conditions such as a deviated septum, nasal polyps, or other airway abnormalities that may contribute to or cause snoring. 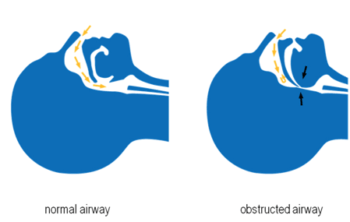 A partially collapsed airway is, however, the most common cause of snoring. Raising or lowering the head stimulates the airway muscles, causing them to tighten and prevent the collision of fatty tissues. During the developmental stages, Hariri asked friends and family members to test the Smart Nora prototypes and to keep a sleep journal to document their experience. Hariri claims that his product was so successful that those testing it hesitantly returned the prototypes to him because they experienced such great results. While this is not scientific evidence, it’s certainly an indicator that it may provide relief to snorers. 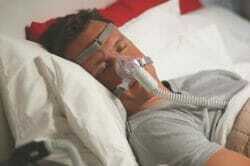 The concept of such a product successfully preventing snoring seems plausible. After all, scientific evidence shows that mandibular advancement devices work by holding the jaw forward and tightening the muscles in the airway. While Smart Nora takes a different approach, it targets muscles in the same area. Could this be the next generation of noninvasive anti-snoring devices? 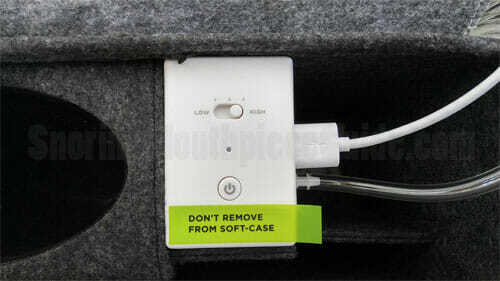 The base unit actually comes with a battery installed within the soft case which provides power to the base unit which lasts only one night when unplugged. The pebble will last for up to seven days when unplugged from the base. According to the manufacturer, charge time is about 3 hours for both the base and pebble. The manufacturer further suggests keeping the base permanently plugged in for regular use. Charging the pebble is easy – just plug it into the base using the provided USB cord. How Much Does Smart Nora Cost? So how much will you pay for the Smart Nora? When the Kickstarter campaign was initially launched in 2015, the first backers were able to pre-order theirs for $179. Today, they are priced at $299 with an occasional discount of $41, bringing the total to $259 with free shipping to both the US and Canada. International shipping is also available for an additional charge. While a bit pricey, if Smart Nora is actually effective, it may be worth every penny. Smart Nora comes with a 1-year limited warranty that covers manufacturer defects as well as a 30-day satisfaction guarantee. 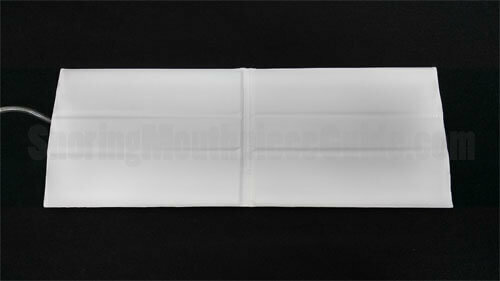 The warranty is valid for 365 days from the date of purchase and covers material and workmanship under “normal use”. As for the 30-day guarantee, Smart Nora INC. will refund your full purchase price if you are not fully satisfied. 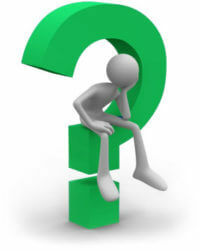 In order to receive a refund, you must return the device to its original condition within 30 days of purchase. 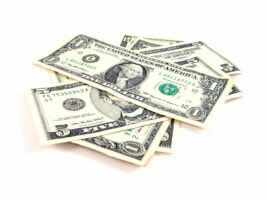 The guaranty and warranty are two attractive selling points. Can Smart Nora Be Used to Treat Sleep Apnea? According to the National Sleep Foundation, approximately 18 million adults in American have Sleep apnea which requires treatment from devices such as a Continuous Positive Airway Pressure machine (CPAP). Smart Nora’s terms and conditions specifically state that their products are designed to provide you with snoring relief and/or reduced sounds of snoring. They further explain that Smart Nora is not a medical device nor is it regulated or approved by the FDA. Furthermore, their FAQ page reiterates that it’s a non-medical device. However, it can be used by those with sleep apnea to reduce snoring but it should not be used to replace physician-prescribed treatment. While fully functional without an app, Smart Nora can sync with your smartphone to provide audio recordings of your snoring as well as other information on your sleeping habits such as the number of hours you slept, the number of times Smart Nora was activated, and the peak decibel level of your snoring. This valuable information can help you to track and better understand the effectiveness of the Smart Nora. As for the App, they offer the iOS version while the Android App is currently under development and is expected to be released in the coming months once the first batch is sent out. Because iOS users are approximately 70% of their customer base, Smart Nora decided to develop the iOS first. When Will I Receive My SmartNora? A common question asked by those who have placed a pre-order is “When will I receive my Smart Nora?”. When initially launched, the company anticipated the first ship date to be in early June 2016, just in time for Father’s day. However, according to updates provided on their blog, this date was pushed out further as they worked to fine-tune their product. They also spent some time traveling to China and Japan in search of factories to produce the components that are used to create the Smart Nora and ultimately a factory that can assemble the finished product. As of September 26, 2016, they are in pre-production and have produced the first 100 units which are currently going through Engineer Validation Testing and Quality Assurance. They are also submitting for FCC and CE certification. That being said, the company is anticipating the first batch to ship out in November 2016. Those who ordered recently can expect a ship date of January 2017. According to their website, the company anticipates their shipments to go out on time. UPDATE: Smart Nora is currently available for purchase at their online store. So far, I have shared all the information that I have gathered about the Smart Nora. After hoping to try the Smart Nora for several months, I finally had the opportunity to do so. The Smart Nora arrived nestled within a box and was surrounded by a bubble wrapped exterior sheathing to protect the retail packaging. After taking off the bottom of the retail packaging, I was able to remove the gray soft case box which contained all of the system components. The case was fairly compact, measuring 10″ x 7″ x 4.5″. My initial impression was that the Smart Nora was well packaged and if the packaging is an indicator of product quality and performance, my expectations were already high. Once pebble is charged (mine took about an hour) Unlock it and power it on. 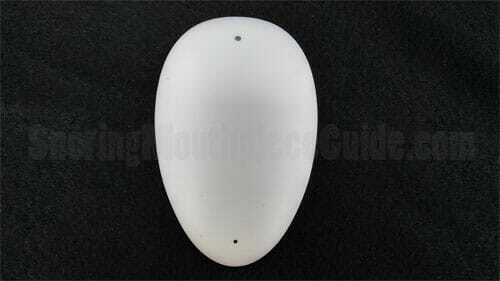 A solid white light will appear at the bottom and top of the pebble. Lay down and press the Bluetooth button. Your head should rise for 45 seconds and fall for 15 seconds. 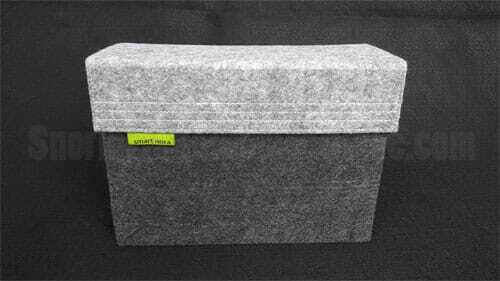 Store the base under your bed and mount the pebble on your headboard. Before putting to use, my curiosity got the best of me and I had to find out exactly how the Smart Nora worked. 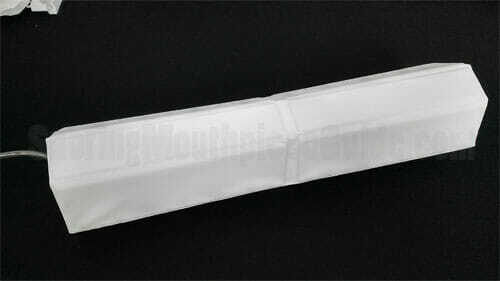 I noticed that inside the pillow insert sleeve there was a plastic bladder in which the air tube was connected to. The sleeve was mounted by two small pieces of velcro, so I removed it to take a closer look. The air bladder actually turned out to have two chambers in which expanded and contracted like an accordion when activated. 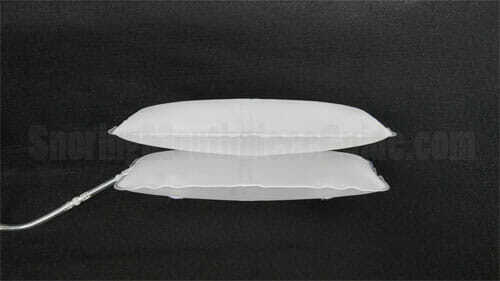 I put the air bladder back inside of the pillow insert and activated the pump by replicating the sound of snoring. It seemed to take about 3-4 “snores” to activate the pump which slowly inflated to raise a total of 3.75″. The action was very slow and the sound of the pump was virtually undetectable. Before trying the Smart Nora, one of my concerns was the pump being too loud. This concern was quickly put to rest after hearing the pump activate which barely made a sound. After satisfying my curiosity, I continued setting up my unit. At first, I considered placing the pebble on my nightstand but noticed that their website suggested using the pebble mount because it made the Smart Nora twice as effective, so this is what I did. Measuring 4″ above where my head typically rests, I cleaned an area of my headboard with rubbing alcohol and a lint-free cloth to ensure that the mount stuck to the surface. I peeled back the double sided tape and stuck it to my headboard and placed the pebble inside. Once the pebble was set up, I read up on setting the pillow height and sensitivity. According to the instructions, for best results, the pillow should be set on “High”. The instruction manual also gives suggestions on how to set the pebble sensitivity. There are five different sensitivity levels to choose from. The highest level of sensitivity should be used in a very quiet room and activates with a single quiet snore while when setting on the opposite end of the sensitivity spectrum (Very low sensitivity) the Smart Smart Nora will activate with multiple snores under loud room conditions such as traffic or construction noise. The recommended setting (Normal Sensitivity) activates with multiple snores under regular bedroom conditions. I decided to leave the sensitivity on the “normal” recommended setting and later adjust it if necessary. With the Smart Nora set up and adjusted, I was excited to get started. As with all anti-snoring products that I review, I always put them through two or more weeks of rigorous testing and provide raw unfiltered information on product performance to my readers. Although rather unscientific, I judge the effectiveness by both reports from my wife and snoring levels that were recorded on my smartphone. I use a baseline recording to compare my snoring before and after using an anti-snoring product. There are several apps that are available, some are free while others are fairly inexpensive. One nice feature offered by this the Smart Nora is a 30-minute delay. I had concerns that possibility of a pillow inflating and deflating while getting settled into bed would be distracting, so before going to bed I set the 30 min delay by pressing and holding the power button for a second which produced a white light that faded in and out, indicating that it was in delay mode. I’m usually asleep long before my wife so she’s my ears and eyes when it comes to determining if a snoring device works. As usual, I fell asleep quickly with my wife by my side monitoring my snoring. Unfortunately, I started snoring several minutes prior to the expiration of the delayed start, so it did not kick in soon enough. Once the delayed start expired, my head almost immediately begins to rise as I was sound asleep and snoring loudly. My head went up slowly and then dropped slowly. Amazingly, the slight movement of my head seemed to put the brakes on my snoring. My wife sat and watched my head rise and fall every few minutes which seemed time and time again to arrest my snoring. The first night was a success as my wife was not awoken or kept up by the sound of my snoring. The sound recording showed a few instances of brief snoring throughout the night that was short lived which prevented my snoring from escalating as it usually does throughout the night. I have to admit, I was pretty amazed by the results that I had experienced the first night so I was ready to see if the Smart Nora could stand the test of time. Day 2 was a long day and I knew that I would fall asleep would not be a problem. Since I knew that I would fall asleep shortly after my head hit the pillow, I decided to give it a try without using the delay feature. I powered on the Smart Nora and the pillow started to inflate shortly after speaking a few words to my wife. I recall this happening once or twice before I was once again sound asleep. My wife enjoys staying up at night reading, so she was able to monitor my snoring for at least a couple hours prior to going to sleep. The results of the second night were similar to the first night. No complaints from my wife and faint occasional snoring sounds were heard and later record which were quickly silenced by the raising and lowering of the pillow. It seems as though the Smart Nora survived another night of testing. Moving forward, let’s see how it held up to the remaining 12 days. The next few days were similar to the first two. Some nights I would use the 30-minute delay, while other days I would not. The choice to use it or not greatly depended on my level of tiredness and my best estimate of how soon I would fall asleep. By the end of the 14-day trial, I decided that setting the 30 min delay is likely the best choice, although until the Nora kicked in, my snoring sometimes annoyed my wife. Around midway through the testing period I decided to try increasing the sensitivity level of the pebble from “normal” to the next level higher just to test the limits and see if I could silence the snoring faster. Unfortunately, the increase in sensitivity was too much and the pillow spent most of the night activated by the slightest sound. I ended up returning the sensitivity back to “normal”. We did, however, note that during this period of time we discovered the pillow would inadvertently activate when my wife would watch TV in bed. Luckily we have a pair of headphones which solved this problem. Not surprising, the same results continued night after night. Any snoring that did occur was quickly silenced and was quiet enough not to wake my wife. By day 9 I had received an email from Nora informing me that I had been assigned a “sleep coach” who would help to answer any questions that I may have. By this point, I was already familiar with the using the Smart Nora and was experiencing satisfactory results, so I did not have to use this service (sorry Sean). 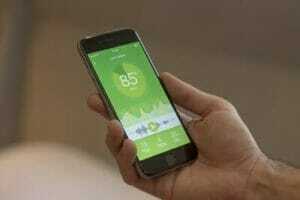 While I own a few apps that I have used to record my snoring, I was excited to test out the one offered by Smart Nora. Unfortunately, they still haven’t released this app although their website shows that the iOS version should soon be released followed by the Android version. 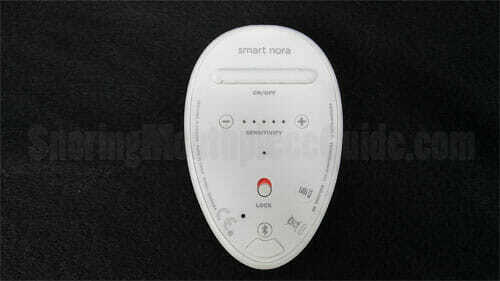 Smart Nora is an innovative snoring solution that is unlike anything that I have ever tested. I was very curious about this product and am glad that I gave it a try. The key features that I really like are the fact that it’s non-invasive, works instantly, and it uses a silent pump. While it doesn’t completely eliminate all snoring sounds, it stops the snoring quickly which prevented it from escalating to a level that keeps my wife awake at night. My wife was satisfied with the results and the sound recording verified a definite reduction in the amount and intensity of my snoring. 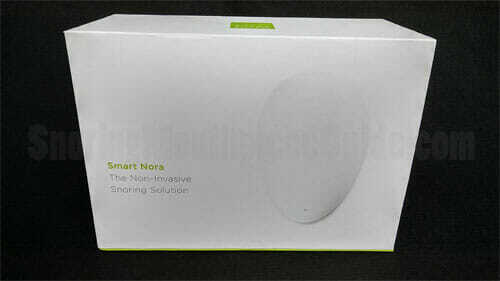 If you are interested in a high-tech, non-invasive snoring solution, I would highly recommend the Smart Nora.